This blog is created with joint team work between Hanuma Rupakula and Mahesh Sardesai. NOTE: for Best practices activation purpose, In case you are using SapGui version 7.50, you need to uncheck “Accept Belize theme”. Once the Best practices activation is completed, you can activate the SAP Fiori visual theme back. This is shown later under SAPGUI settings. This blog includes installation of S/4HANA 1809 FPS1 and will focus on creating Sandbox type instance with co-deployed (embedded) gateway. The step by step procedure for Best Practices Content Activation on S/4HANA 1809 FPS1 has only two base languages EN & DE and Country= USA. The BP Activation process runtime is 5 Hrs. Please refer Admin Guide. Adding further language translations later is not supported once the solution is activated, therefore, identify and install all the required languages you may need in future (if possible). You can check the following blog post for information on how to import a large number of languages efficiently. 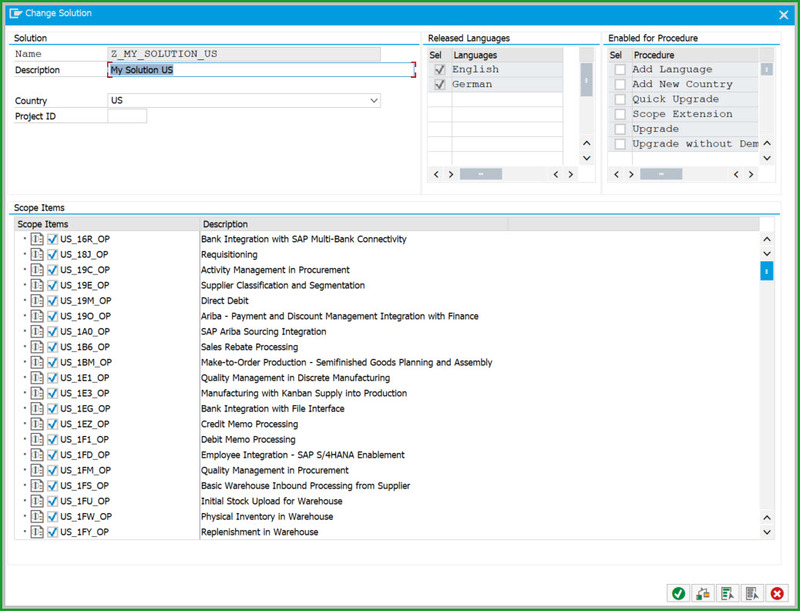 Since 1709 release, the Solution builder automatically identifies your installed languages and imports only those translations required while importing the installation data. 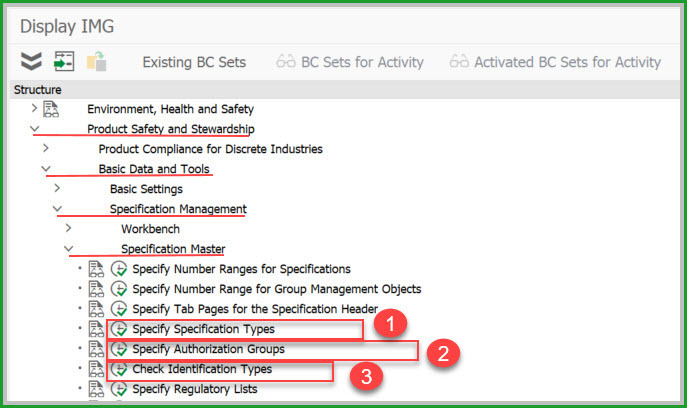 A new Solution Builder profile has been created with ALL scope items but in case you have finalized scope items you can select only the needed scope items. 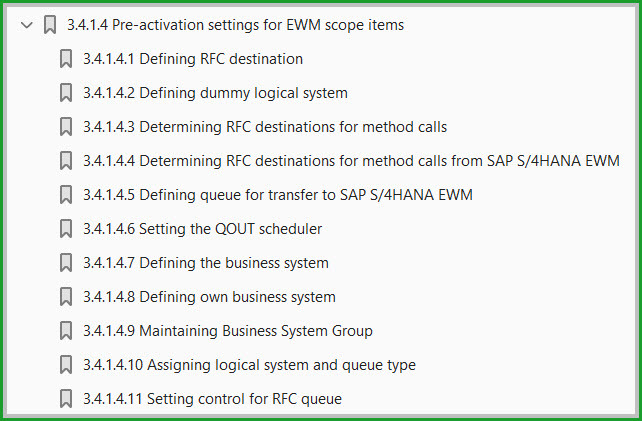 Depending on how many selected scope items, activation procedure will need less time The status of system before starting this procedure is clearly defined before starting. STEP1: S/4HANA 1809 FPS1 is installed and SPAM checked as per previous blog Part 2 link above. 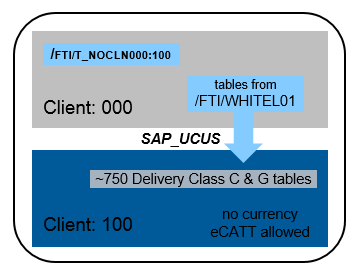 STEP4: Client Copy with tables defines in whitelist table /FTI/TWHITEL01 by registering client in table /FTI/T_NOCLN000 (for merged client do not register client in this table) and using copy profile SAP_UCUS, SAP_CUST, SAP_CUSV or SAP_UCSV as per the Admin Guide. Copied client to have no currency in tCode SCC4. Download zip file from URLs in the above note to desktop and then upload to server. 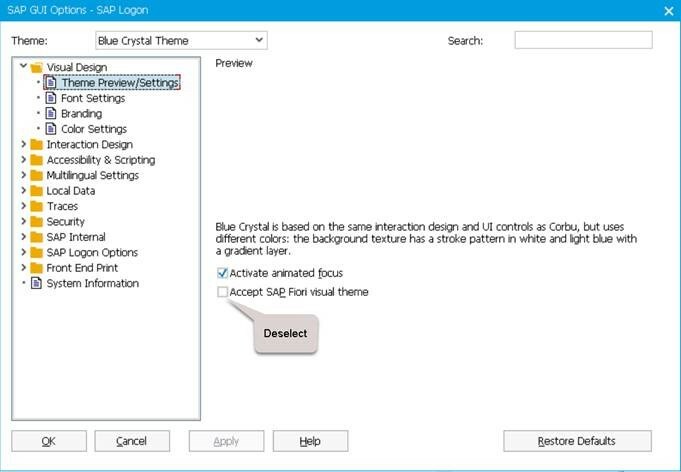 SAPGUI SETTINGS: In case you are using SapGui version 7.50, you need to deactivate the SAP Fiori visual theme on the Blue Crystal Theme visual design option or select any other theme in the SAP GUI options. Currently MM01 ECATT fails with the default theme (will be fixed shortly). Once the Best practices activation is completed, you can activate the SAP Fiori visual theme back. preactivation step 14 and activation errors. TIP: As of release 1809, SAP Best Practices Solution Builder automatically identifies your installed languages and imports only the relevant translations required during the import of installation data. STEP11: enter tCode SCC4 and ensure below values – Logical System – S4HCLNT100 (needed for EWM steps as per 3.4.1.4 of Admin Guide AdminGuideS4HANAImpl_HELP_EN.pdf in link), Currency – blank, Client role – Test. 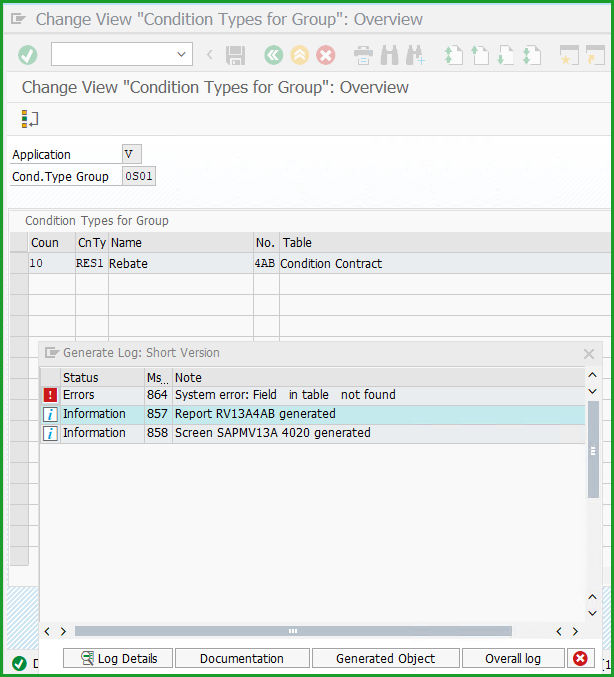 In the All Central Data Entities section, use (1) search to find (2) DSC in the table and double-click it, Click (3) Change and change the (4) ID field. 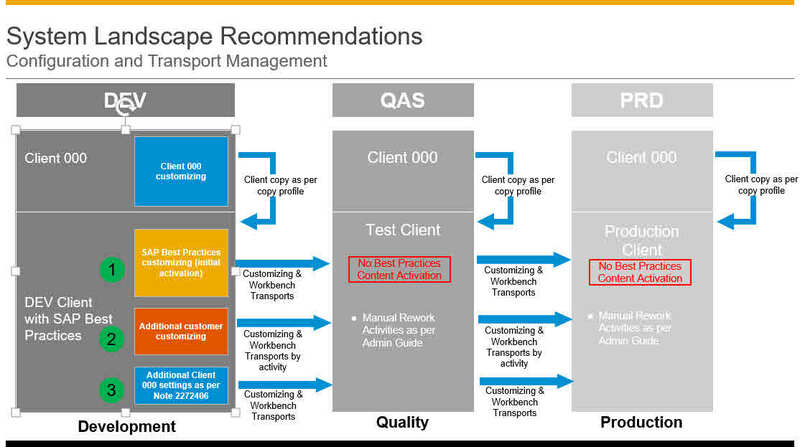 When activating several SAP Best Practices country solutions please follow the procedure provided in 1809 OP Admin guide. TIP: When saving each setting you will get notification message that Select a key from the allowed namespace which is just a warning, press enter. Also these settings are already available in Client 000. So you can check in Client 000 if you have any doubt. (IMG 1) Create the PURE_SUB and REAL_SUB specification types with 0I as internal number range and 0E as external number range of the ESN_SUBID number range object. 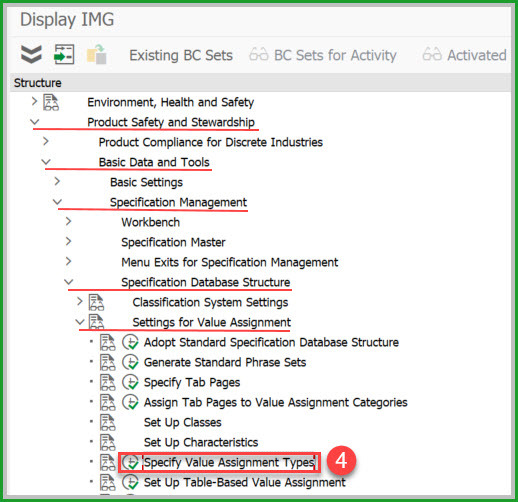 In the Specification Category for Specification Type view, create for each type the entry SUBSTANCE in the Specific Categ. field. In the Specification Category view, create the entry SUBSTANCE in the Cat. field. Create the entry SYN in the ID Type field with description Synonym. Create the entry CAS in the ID Type field with description CAS Number. In the details, enter EHPRC_CP_LB08_CASNO_CHECK in the ID ChkRtn field to assign this function module. 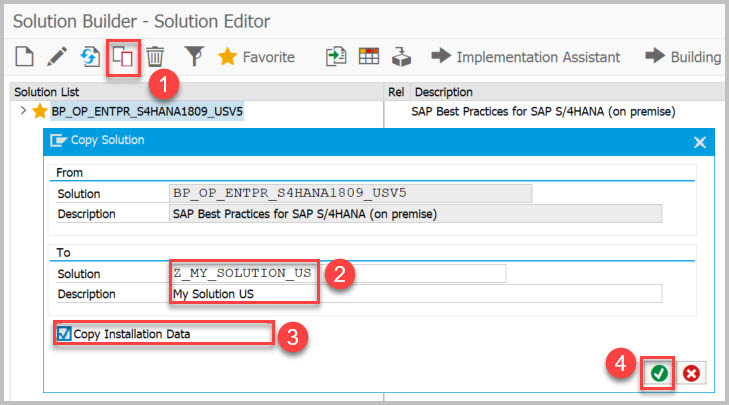 Create the entry SLSID in the ID Type field with description SAP Listed Substance Number. ESTMJ with description Material Assignment. In the details, enter D in the Value Assign Cat. ESTRH with description Specification Header. In the details, enter D in the Value Assign Cat. (IMG 5) The ALL authorization group in the Auth Group field is added. The Prod. Marketability and Substance checkboxes are selected. 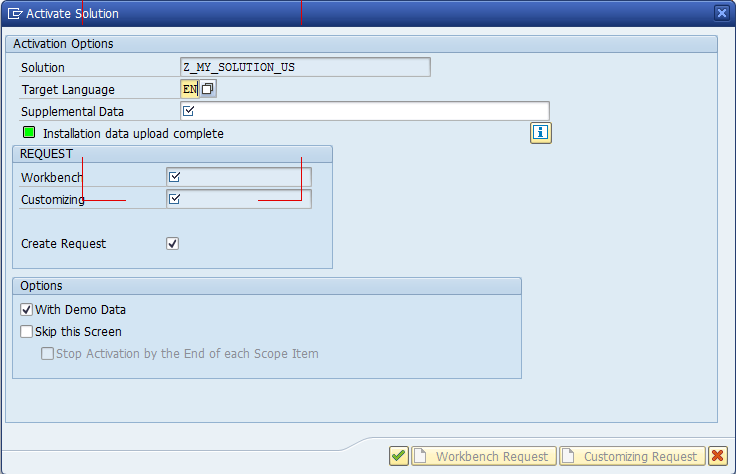 STEP15: Depending on scope items you have selected, you may get less errors than shown in steps below. The timings are based on Cloud based Virtual Machine with 256GB RAM x 32 Cores. In the SECATT transaction there are certain number of log entries which are sown against each stop. NOTE: If you are activating in merged client please perform the pre-requisite steps as provided in the note. 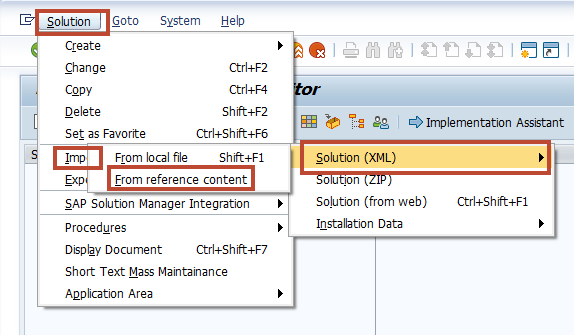 STEP16: Enter tCode /n/SMB/BBI and go to Solution Builder. 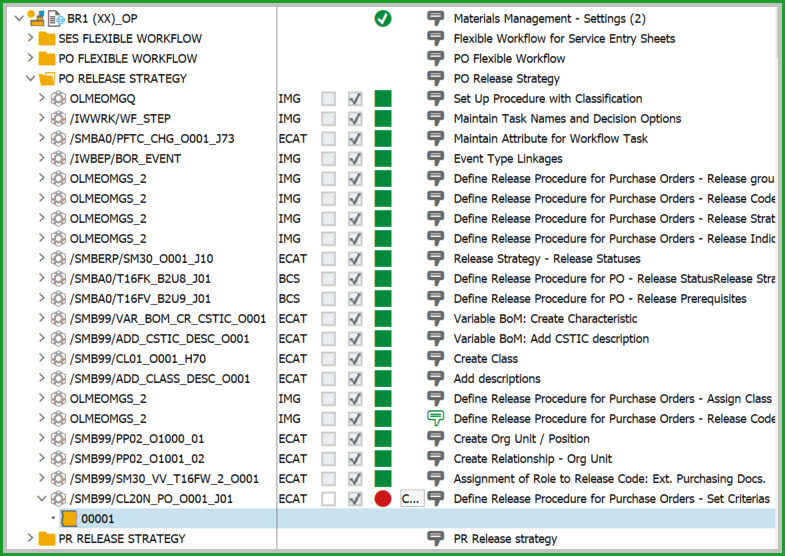 Select the Solution and click on Implementation Assistant and Click on button Activate. After 3 minutes you will be prompted with screen below. If a message pops up “To activate the project, the client settings need to be changed to eCATT and CATT allowed” please choose Yes. This would come up if you didn’t follow the earlier step in SCC4. Number of SECATT log entries = 149. No steps to be done here, just click on activate to continue. Immediately afterwards, you will get notification dialog below. Click OK. Number of SECATT log entries = 194. Click on Skip button to continue. You will have to click Skip 7 times. Number of SECATT log entries = 206. 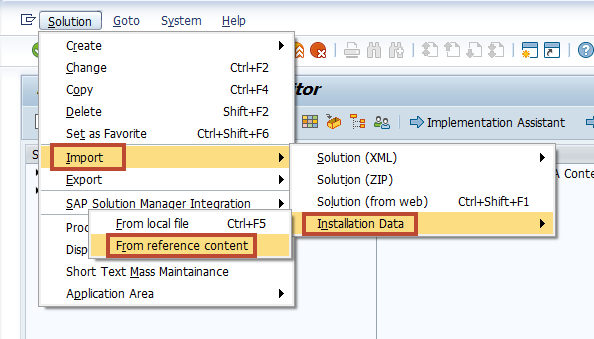 Login to SAPGUI and restart activation. You will get Activation Error as shown below: Number of SECATT log entries = 265. Log off user in all sessions log back in and then activate again. Click on icon shown. Number of SECATT log entries = 306. Log off user in all sessions log back in and then activate again. Number of SECATT log entries = 384. No steps to be done here, Click on Yes and continue. Number of SECATT log entries = 507. Go to IMG path: Product Compliance > Product Marketability and Chemical Compliance > Specify Responsible Units. Enter ALL in AuthGroup field and chose SAVE. STEP17: COMPLETION OF ACTIVATION At the end of activation you should get message “Solution Z_MY_SOLUTION_US is activated”. CONGRATULATIONS !!!! You can help us improve the time estimate. Please send the downloaded log file to mahesh.sardesai@sap.com This file contains the only the information about activation objects and timing. Steps are as below. Please state S4H release, Which languages like DE, EN and Which country like USA, Germany, etc. 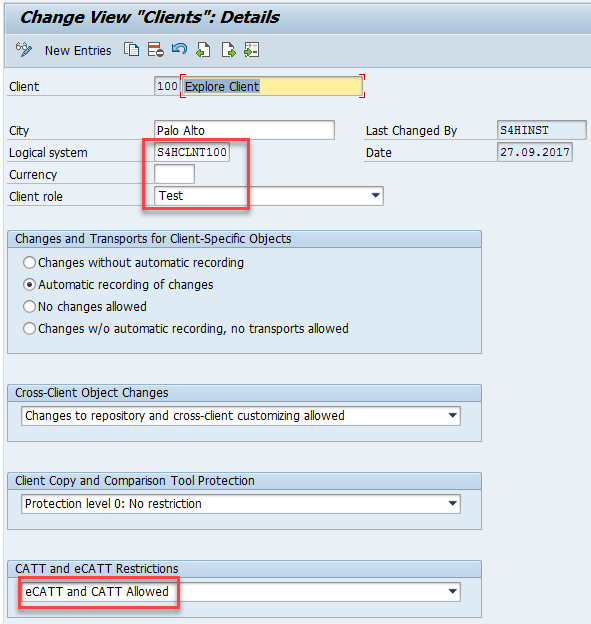 tCode SECATT, click on icon – Logs, change to activation user and dates as needed, Max No of Hits = blank. Export to local file, In the Clipboard, paste into notepad txt file and send the text file. Please follow procedure as described in Admin Guide section 3.5 Executing manual rework activities. This blog has been created with joint team work between Hanuma Rupakula and Mahesh Sardesai.